Who Are Your Eskimo Angels? He reeked of booze. And BO. I stood beside a man on the bus the other day. His swollen and busted up face caught my attention. He had a hospital band on his wrist. His dead eyes said it all. In his hand was a bag full of rattling Olde English malt liquor bottles. He stared into the middle distance while I sized him up and took him in. It was a reminder of where I came from and where I could be if I picked up again. I wanted to hug him, to let him know that it didn’t have to be like that any more. But I knew that look he had – long lost in his mind, his alcoholism, his perceived fate. He was, at that moment, a shell of what he could be, what he was meant to be. Was he one of us? I don’t know for sure, but I know regular folk don’t come back from the hospital and pick up booze before even removing the white tag on their wrist. I mentioned this on Twitter and someone I respect (his name is Paul as well) asked if that man was perhaps an Eskimo Angel. I had never heard the term before, but soon found out what it meant. One common story used to explain the term is the classic tale of a man on a roof during a flood who prays to God for rescue. When a life raft and helicopter come, he refuses both because God will save him. Finally, an Eskimo on a kayak offers to take him to safety, and again he maintains that he is waiting for divine intervention. After he dies and accuses God of not saving him, God tells him that he sent the raft, helicopter, and Eskimo*. The idea that Creator works through others is something that I very much believe in. Eskimo Angels are those who gently (or maybe not so gently) nudge and guide us towards recovery. They are in the background and foreground. They pray for us, work with us, take our hand and help push us to the light of wellness. They may not even know they are Eskimo Angels. They may have no idea that they are in communion with Creator in helping someone get well. In the twilight of my alcoholic lifestyle, I know now that I had many Eskimo Angels around me, hoping and prompting and encouraging me to get well. I can look back and see that I had many, many opportunities given to me, through others, to see just how bad a shape I was in. My denial, my ego and my alcoholism wouldn’t let me see through the fog though. My wife and my parents were certainly Eskimo Angels. They are still angels in my life – they have done more than I can thank them for. A friend of a friend in 12-step shared with me his experience and hope via emails and phone calls (I am embarrassed to say I don’t remember them all) and he was an Eskimo Angel. Old employers of mine who tried to counsel me and console me when I was in bad shape…they were Eskimo Angels. The doctors and nurses who tended to me in my hospital visits, who asked if I had drinking issues, they too were Eskimo Angels. To the people who called 911 not once, but twice, when I was drinking and driving that last time – they were Eskimo Angels for sure. To the police officers who stopped me and made sure I was off the streets – they were certainly Eskimo Angels. The man from the treatment center who called me repeatedly in detox to make sure I was okay – and Eskimo Angel. The first few men who I ran into in 12 step recovery rooms. Angels, all of them. I don’t begrudge or resent anyone who helped me in the ways they needed to help me – either firing me, or arresting me or pleading with me or having other sorts of unpleasant exchanges. I am thankful for them and bless them daily. I have people today in my life who are no doubt continuing to gently prod me into greater growth, and I don’t know that they are doing it. Doing His work through their words and actions. I am affected by the cosmic touch of interaction via other humans. I am a bird who is riding the currents of the wind, being taken to where I need to go, without even knowing where that place is, wings spread but not flapping. The mosaic of this intermingled universal mass is much broader and wider than I can imagine. I am guided by voices that aren’t my own, and yet are part of my inner landscape. Creator, within, working through others, without. The beauty of this recovery thing we do is that we never know if and when we ourselves become Eskimo Angels. A hug at a meeting, a timely email, a welcoming phone call, an unexpected visit…these are just some of the countless ways that we can plant the seed of recovery for the still suffering alcoholic or addict. Blogging, speaking, sharing, writing…these too are ways we communicate and carry the message of hope. Sitting down with another alcoholic and telling them our story and how we got well. Reaching out in the small and not-so-small ways. A smile and a handshake to someone new at a meeting. There are many ways that we can be beacons of light to those sitting in the darkness. Even just living a life of joy and happiness can inspire someone to want what we have. Living by spiritual principles. Laws of attraction. I now regret not hugging or talking to that man on the bus. Or reaching out in some way. But many more will come. I am sure of that. They remind me of what it was like and what it could be if I drank again, the runaway train wreck I would become. They are truly my Eskimo Angels because Creator is holding a reflector to me, reminding me, and also letting me know I still have work to do. Carry the message. Help others. Get out of self. Who are your Eskimo Angels? Who helped you when you didn’t even know how to help yourself? * the story passage is from this site here explaining Eskimo Angels in more detail. Beautiful, and so timely for me. I did not realize it until you wrote this post, but I was called to be someone’s Eskimo Angel yesterday. I was a bit overwhelmed, but, framed in this way, I am now joyous to be given the opportunity. So, today, (and for many days before this): Paul, you are my Eskimo Angel, for helping me to see God’s will working through you, through me, and through my friend! Thank you for being my Eskimo Angel. Great post Paul!!! God has a way of presenting more than what we need, and I often cry, “But that ain’t how I want it.” So He sends it differently, and will keep it up until I finally realize that it ain’t what I want that matters, it is what I need that matters. There are plenty that are in the same boat, and though I might think that they are wasting my valuable time, I need to remember that God has wasted His valuable time trying to get me to quit choosing death over life, to make me realize that not everything I want is needed. Stunning comments as usual, JR. Thank you for this. You show the difference between wants and needs, and what I want doesn’t matter, and what I need is what God provides…whether I like it or not. I work best when I remember that I am not in charge of my life any more. I do the leg work, but His will be done, not mine. Thank you for this…you have taught me…as usual. That’s fantastic, SML! It’s amazing how those so close to us can help consciously or unconsciously direct and guide us even when we don’t see it. I have learned that people really do want to help, and will do what they can in their own way to do so. Thanks for sharing this…it was so wonderful to read. Well that certainly sounds like an Eskimo Angel to me, momma bee. It’s amazing how Creator puts people in each other’s path. Not for just one to help the other, but for both to help one another. And don’t be mistaken – you are helping her as much as you she is helping you. I have a sweet friend, jane, who i call my eskimo….she met me at my first meeting, sat next to me and then suddenly was snatched to actually lead the meeting. There i sat. alone and pissed off, not talking to anyone, and she turned the meeting into a 12 step call on me (or perhaps that is just what my self-centered ego need to believe that day). She is still my friend today and i often call her my angel…so eskimo angel fits beautifully. i love what you said about how often we have no idea… a quick hug, a casual comment, and some day later someone walks up to you and says “remember when you said…that’s the day I quit”. that is the 12th step in its most stripped down action…we live our lives in a way we hope will attract others to our light. that is really all we are called to do. sometimes we fail, sometimes we don’t…but we never know if we will be someone’s eskimo angel. This was so awesome, M. I loved your comments and you story here. It’s absolutely true what you say about this just the 12th step stripped down to its essentials, isn’t it? We never know how something we say or do is going to impact someone…and vice versa. I remember things that were said to me a long time ago which I didn’t get then, but now see their power. things that made me think later on. And I know people have said things to me later on that I don’t remember saying. thank you for this…so amazing. Like you. I had never heard of Eskimo Angels before! I love this idea. And I think…I have had many!!! And I also think I may have been one myself a time or two. Thanks Paul. This was beautiful! Thank you Tracy – I am most certainly sure you have been someone’s Eskimo Angel. You’ve shared yourself through your pictures, words and of course in face-to-face…and I can guarantee you have touched someone and shown them what it’s like to live a life happy, joyous and free…wanting what you have. Thank you Paul for your kind words. I’d like to think that somewhere somehow I have! And you have too my friend…being you and sharing your recovery and growth with us! So thank you for being here! Reblogging so I can share the message! This is such a timely post for me. It has only taken about 4 1/2 years for me to become irritating, annoying, and more than just a little arrogant in my sobriety. Time for me to re-arrange my thinking, to be sure. But more importantly, I need to let God to re-arrange my heart. Certainly in my heart I want to be an Eskimo Angel. Thank you Greg for your wise words and for sharing this with your readers. I am honoured. I too am in a process of re-arrangement and trying to stay grounded in my recovery while opening myself up more to others and His will. Thank you for being a part of my recovery, kind sir. Each new post you write becomes my favorite. I’m all fully of crazy emotions and not enough words. I’ll simply say thank you and commit to watch for those angelic moments and people. Too kind, Michelle. I need to learn from you in that department…giving of yourself from a bottomless well of positivity. That’s where the gravy is. Thank you for showing me the light. I usually think of these as guardian angels but not in mortal form. 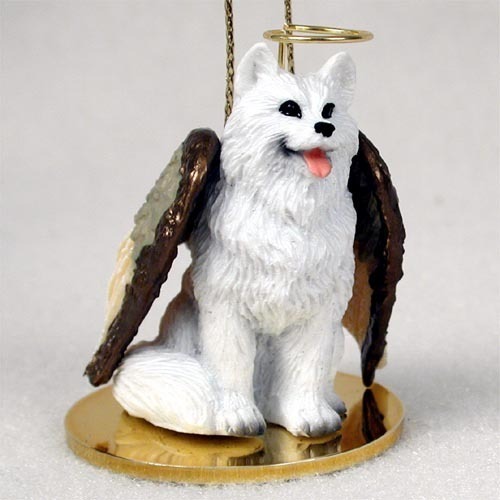 I love the thought of Eskimo Angels! For me – it has to be my husband and my kids. They are my strength and my reason and they love me even when I don’t love myself – warts and all. That’s lovely about your husband and kids being your Eskimo Angels…and you’ve written about them so much I feel that I know them a bit…and they certainly have stuck with you through thick and thin. Wonderful to hear, Sherry. It is nice to look at the world in a different way. That’s my challenge in this whole recovery thing. Less of me in there and more of the Greater Good…then I am less squirrely. Not an eskimo angel but I’ve certainly come across more than my fair share of angels in my life, in fact, I had one at my table last weekend…delightful and terrifying all at the same time. What a beautiful post! Never heard of Eskimo angels before but I do believe wholeheartedly that God works through us and others! My hubby nd his family are my angels! I look at Kindness ad a small pebble you throw into the lake, it doesn’t take much effort yet the ripples spread far nd wide. Thanks for sharing this you r truly deep and a great writer also! Take care! I was just asked the question in an interview for a photo shoot I may be part of. “Is there or who were the people who helped you get sober.” I responded Higher Power, but it was Higher Power through people who cared to help, who reached out, gave of their time to a confused, frustrated ego driven person, who had difficulty seeing the forest for trees. I had this thought, as I read that you didn’t speak to this man, that he was too lost in himself, and his addiction. Who knows maybe he saw you, maybe you were the example, the ember to light his way. Just by your presence in front of him. You are the angel, just by being in society today, living your life, riding the bus. Spirit works in mysterious ways! Best to you my friend! Thank you Jeff for what you bring and add here always. I have always believed that our HP works through others. It’s no mistake when we go to a meeting and people are saying exactly what we need to hear. It’s in His plan. And thank you for the kind words…I hope that I can be of some service to my fellow man, alcoholic or not. Blessings and hope you have a wonderful weekend. P.S I would love to see that photo shoot! Hi Paul. I have hear this story before, but differently. I heard it as someone asking God for help while drowning, then the helicopter and boat and all, but I hadn’t ever heard of the eskimo on the kayak. Just a person (i imagine it could be an eskimo). Anyhow, lovely reflection, my friend. I totally believe that God works through people and ‘circumstances’. I like to call this type of stuff “divine encounters” or “divine providence”. Don’t beat yourself up about the guy on the bus though. You can do something super powerful, and that is to pray. Pray for God to deliver him from that lifestyle, to send ‘eskimo angels’ into his life. Thanks Staci (I had written out a long reply to this but got eaten…so sorry about the brevity). Divine Providence is exactly the term used in our basic text regarding the desire to stop drinking…it can only come from that. So cool that you used the term as well. And you are the second person to mention praying for him…and I have. And I pray for you and thank you for being in my life here. God, put people in my life who can help me. Very very real Paul. You decribe it so eloquently. And what you describe hooks so well into the big picture – that we all do God’s work, and sometimes are not even aware that we are. And we all need those who do God’s work and are likewise often not aware. Excellently posted my friend – important to all. So many people I have met on here have influenced me, some more than others. Some through negative interactions that led to me making changes for myself. As for offline, that takes some thought. I may have to think this over some more and make a note of what I find. Thanks for the insight. Thanks J for your thoughts. I also think that sometimes we don’t even know or remember what others have done for us, as they have been subtle or indirect. And I like what you said about even the negative things being changers for us…you are so very right.